Videofit contacted Leotronics following a cable campaign launched in June 2015 for a wire to board cable assembly solution for the new design in their camera range. The requirement was for 3 specific cables of differing length. Videofit is an innovative Automatic Number Plate Recognition (ANPR) technology, which enables the user to capture short recognition movies and so more easily identify vehicle occupants. Their recognition engine took 3 years to develop and offers unrivalled recognition accuracy of 98-99%. Leotronics defined the required parts and provided technical data to the client within a single working day. Low volumes of 3 different lengths of cables, using the same 1.25mm Industry standard wire to board Single Row crimp style housing were sourced and approved. The same UL approved wire UL1061 was specified and the PDF files were signed off ready for the sample stage. 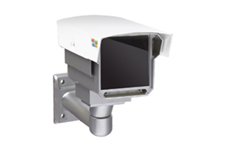 With single camera, multi camera and networked systems available, the Videofit systems offer significant security benefits. Contact us now to see how we can help with your project.